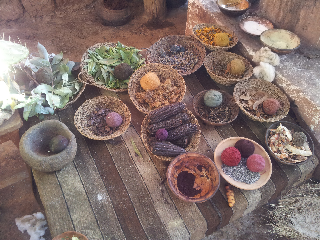 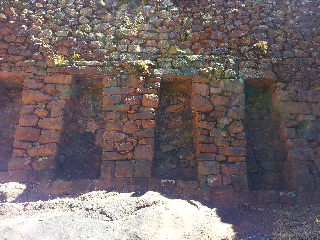 Yesterday spent the day visiting Inka archaeological sites in the sacred valley. 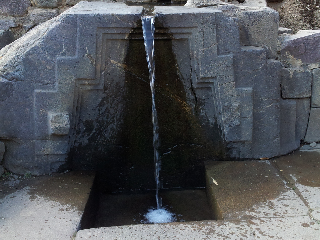 First to Pisaq the most well preserved, and significant site after Machu Picchu. 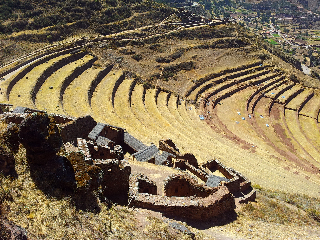 Impressive agricultural terraces are being restored with funding from UNESCO. 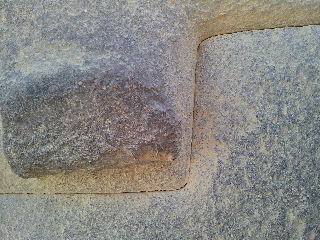 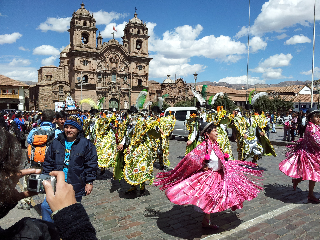 Next to Ollantaytambo to see more ruins and aqueducts, and finally to Chinchero. 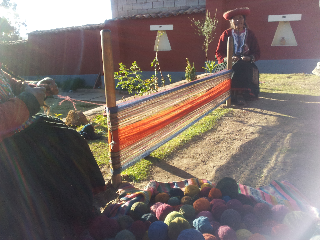 At Chinchero there are almost no ruins, but the local culture and weaving techniques have been preserved. 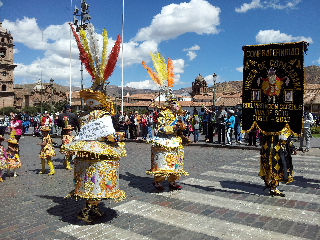 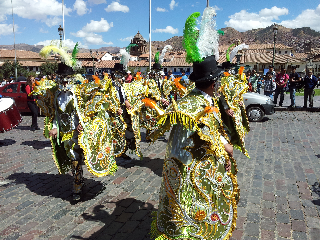 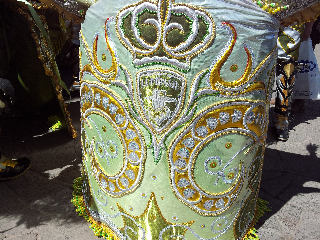 Then today we saw a procession for the Virgin de Cococabana, before departing for our city tour. 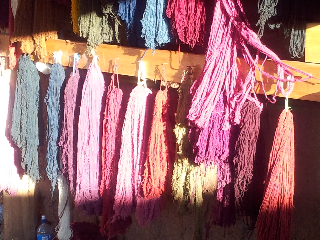 Tomorrow we begin a 10 day trek to Machu Picchu using an unusual route.